It is worth noting that photographer Eriberto Oriol knows exactly where to find the best Ensendada-style fish tacos on L.A.’s East Side. On the surface, he doesn’t look like the Chicano patriarch who paid his dues in the movimiento as a political activist or militant ’60s radical. Neither does he bear resemblance to the working stiff, barrio veterano or vato ruco who still keeps a wool Pendelton and a pair of Stacey Adams wingtips in his closet for special occasions. However, like both of the aforementioned East Los archetypes, he qualified for an AARP membership card more than a few years ago. With a camera on his shoulder as an extension of his unassuming, thoughtful, but undiminished revolutionary spirit, he is considerably taller than my own pops, and probably taller than yours.Wearing a Stevie Ray Vaughn soul patch gone grey and khaki shorts, he looks more like a retired Malibu or Imperial Beach surfer who isn’t quite ready to hand over his longboard. He posts his photo work at www.forbiddenartla.com, a site he set up years ago. He is, inarguably, the kind of cool, laid back, way firme father worth knowing AND celebrating. Just ask his son Estevan, a former tour manager for two seminal, LA-bred Rap/Rock hybrid acts, House of Pain and Cypress Hill. 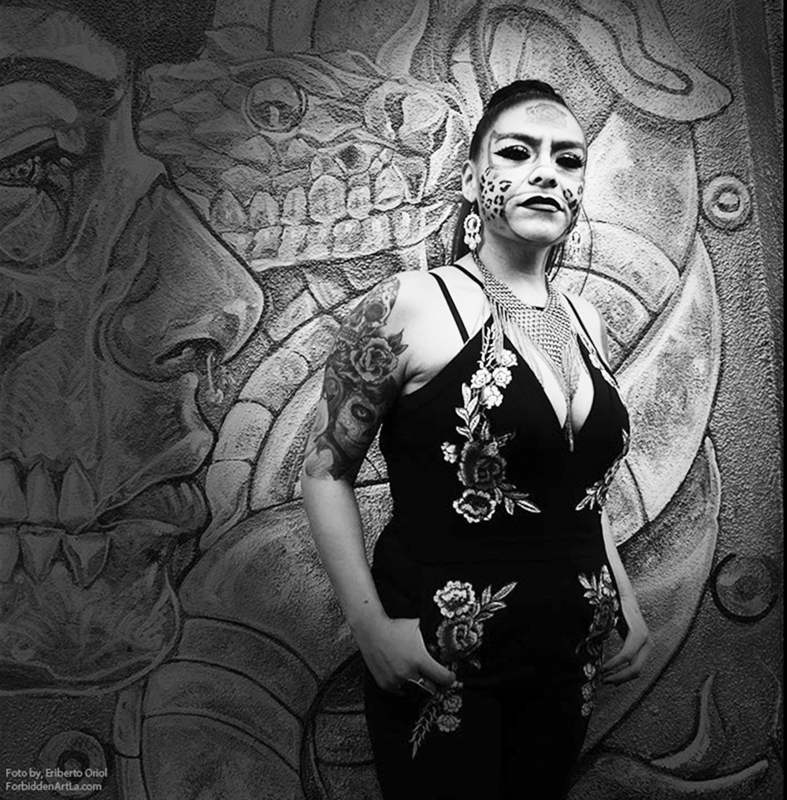 An internationally acclaimed documentary and celebrity photographer, video director, music industry visionary and urban cultural icon, Estevan Oriol has helped define and even glamourize urban Chicano style and sensibility for over two decades. By the time he joined Mr. Cartoon, the maverick tattoo ink-slinger to the stars, to kick start the latter’s Joker Brand street fashion and apparel line in 1996, the younger Oriol had already blazed a trail along the Sunset Strip so significant, that it helped, one could argue, pave the way for a brief but memorable cholo-homeboys-as-rock-stars era at the famed Rainbow Room, The Viper Room and Jumbo’s Clown Room, among other notorious Hollywood bad boy hang outs. 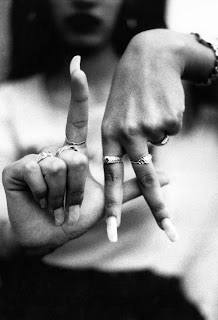 His 1995 image of a sultry Chicana with long, synthetic, and exquisitely manicured fingernails holding her right hand up and using her index finger and thumb to form the letter “L” while extending her left index and middle fingers downward in a kind of inverted peace sign just in front of her right thumb to form the letter “A” has become as synonymous with Los Angeles as the Hollywood sign. Depicting a hand-sign approximation of the interlocking L.A. Dodgers logo, the enduring image evokes an alluring yet defiant gangbanger culture. Unsurprisingly, the black and white photo continues to spawn a steady volume of adulatory—and ultimately flattering—knock-offs by imitators and plagiarists from here to Tokyo, among them retail fashion giant H & M and Italian-based fashion chain Brandy Melville, who Estevan Oriol brought suit against for infringement in 2013. Estevan is apt to simply shake his head. In most cases, those recreating his famous L.A. Fingers as tattoos, decals—or the predictable, ready-made for Día de los Muertos versions that feature bony skeleton fingers throwing up the infamous sign—have no idea whose work it is they are emulating. Or if they are familiar with his name, they are unaware that his photographs of Kanye West, Snoop Dogg, Danny Trejo, Ryan Gosling, Adrian Brody—and yes, Pacino, Deniro and Hopper, among others, because, well, it’s true—have been published and exhibited internationally. Too busy monitoring their own Instagram and Snapchat traffic, millennials would be surprised to learn that a short list of his directing credits includes videos for Cypress Hill, Blink-182 and P.O.D., as well as a newly released short documentary on several legendary East LA boxing gyms. But none of those things matter on a mild afternoon just east of Mariachi Plaza in Boyle Heights as the pair drop into Casa Fina Restaurant & Cantina. Sitting down to a nostalgic plate of ground beef served in crunchy corn tortilla taco shells at the new eatery launched by writer Josefina López (Real Women Have Curves), he explains that it was his father who gave him the older spare camera that he first used to photograph the things he saw around him as an integral part of both the urban music scene and the complex, often misunderstood Chicano street culture that fueled everything from lowriding and tattoo art to fashion and barrio-centric accessories. For Estevan, raised in Santa Monica, the camera and the subtle nudge of encouragement from his father that came with it were not just warm, family overtures. Describing the weekends and holidays spent in San Diego with his dad before becoming a teenager, his voice is not awestruck or loaded with reverence. But it does echo with the sort of pride that keeps the memories of his father shooting pictures in the service of social justice and neighborhood empowerment vivid even 40 years later. He remembers his father photographing children who had to walk to school right through the middle of a physically dangerous and environmentally hazardous waterfront wasteland. “I remember the mural that his friends did at the time. It was called ‘Varrios Si, Yonkes No!’ And it was about that photograph,” he continues. Eriberto Oriol, raised in Barrio Logan, had come L.A., settled down and helped bring his son Estevan into the world, but could not acclimate. “I was done… with all the traffic and pollution. I worked at a regular job. I wasn’t into the art scene or any kind of a community,” he explains. Returning to San Diego neighborhood of his youth, he fell easily into the advocacy, empowerment and cultural arts work happening there. The political blowback, Eriberto says, went so far up the chain it reach then newly elected, first-term Governor Jerry Brown, who contacted the offices of the Chicano Federation in Logan Heights to ask what could be done. By 1987, Eriberto was back in L.A., drafted by Angélica González, now his wife, to help transform the Pico House at Placita Olvera into art exhibition space. Permission to clean, restore and retrofit the building—closed to the public and home to uninvited squatter pigeons—says the elder Oriol, was facilitated by local political insider and former L.A. City Council Member Richard Alatorre. Estevan, over the ensuing years—armed at first with the hand-me-down camera—honed his own ability to capture images that were so moving and powerful and true that they went beyond simple publicity stills. During shared tour dates with bands or artists that were more rock or soul than hip-hop or rap, he shot all the candid backstage, real-life portraits and scenes he could. As an ad hoc press agent or tour publicist for the groups he traveled with as a road manager, he discovered that good images for magazine and on-line stories were always in demand. During the limited time allotted for interviews with artists on a hectic touring schedule, he explains, photographers were grouped together in a pool to shoot whatever they needed or could during the last 10 or 20 minutes of what was normally an hour-long press call. “I would ask the reporters who else they were shooting that day or who else they needed pictures of.” he explains. “That’s how I was able to start selling my pictures to a lot of the magazines here and even in Japan.” Meanwhile, no one could have predicted the popularity with which his images, inspired by classic lowrider, tattoo, vida loca and cholo aesthetics, would be embraced by both the art world and the Hollywood entertainment machine. 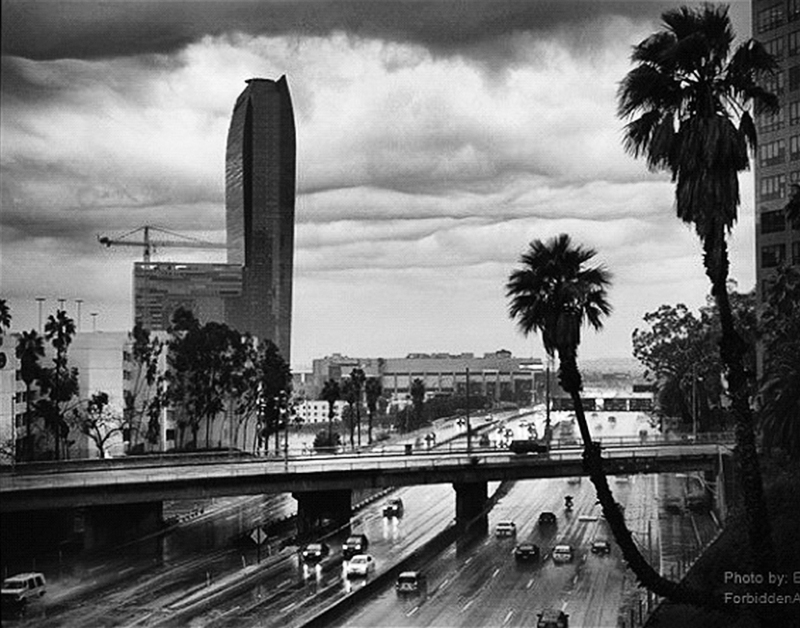 Yet even so, when artist Shepard Fairey offered to host an exhibition of his photos at the Wiltern Theater rooftop studio where Fairey based his OBEY imprint, Oriol decided it was time to shift gears. “To be honest, I was getting kind of bored with those images so I was even turning down invitations for shows. By then I was ready to do something different,” Estevan admits frankly. He responded saying he would only agree to do the show with Fairey if he could include his father’s work as well. At this, Eriberto laughs out loud and interjects, “Hell, I didn’t even know who Shepard Fairey was!” Both Eriberto and Estevan agree that the show at Fairey’s studio surpassed everyone’s expectations, including their own. While much of the senior Oriol’s imagery is based on perspective captured at greater distances, the resulting interplay between tones, and the tonal blending, Estevan’s work—by contrast—is almost blunt in its close-up honesty, its gritty reality occasionally softened by a tender compassion transmitted in either direction between the viewer and the subject. The show broke all of the gallery’s previous attendance and sales records, says Estevan, adding that the Carmichael Gallery relocated to New York shortly thereafter. One year later, “Like Father, Like Son” was exhibited at the Carmichael’s East Coast pop-up gallery. Both son and father were concerned because New York had just been hit by a hurricane and widespread power outages. “We thought about cancelling,” says Estevan. “Because we didn’t think anyone would show up. But the gallery told us to come anyway.” The New York debut of the father-son duo drew a capacity crowd, Estevan continues. He still seems surprised by the response, so far outside of Los Angeles, to what was originally just his own way of honoring the bond they share as artists and as a family. 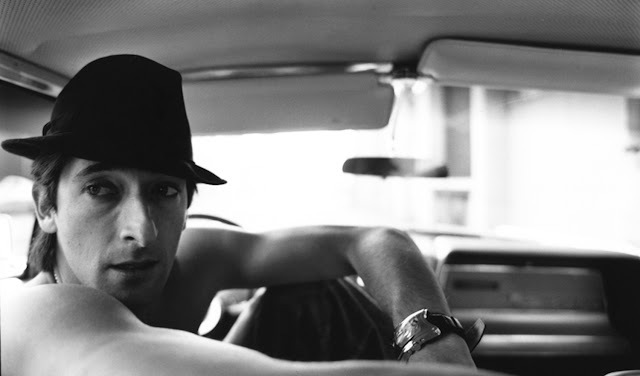 Estevan Oriol's work will be featured through July as part of “The High Art of Riding Low: Ranflas, Corazón e Inspiración,” a new exhibition opening June 29th at the Petersen Automotive Museum, 6060 Wilshire Blvd., Los Angeles, CA 90036. www.petersen.org.